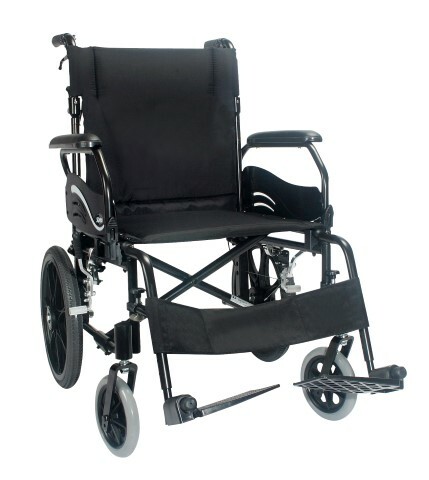 The Wren 2 is a great value wheelchair many different features. It is made using from lightweight aluminium which makes it easy to transport. Price excluding VAT.(Incl. VAT £342) *VAT Relief available on this product. The Wren 2 is an extremely versatile wheelchair which is available as a transit or self-propelled version. As expected from a Karma wheelchair, the frame is made from a robust but lightweight aluminium. This chair is fully adjustable, so you’ll be able to find the position that’s most comfortable. The flip back armrests and swing away footrests create more space within the chair which helps to make things easier when transferring to and from the wheelchair. An ergonomically designed armrest provides a smooth, comfortable place to rest your arms and propel the wheelchair. 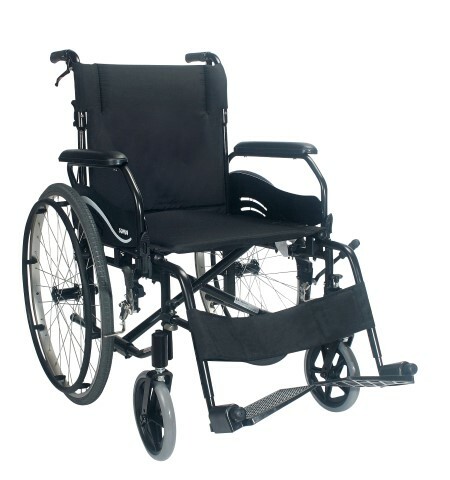 Features such as the progressive slowing brakes allow the wheelchair to stop gradually when used on hills or slopes. The seat is available in 16”, 17”, 18”, and 20” widths. On the self-propelled version of this wheelchair, the seat to ground height can be adjusted from 19” down to 16.5”. The lowest seat to ground height allows the user to propel the wheelchair with their feet. The black upholstery used on the Wren 2 is flame retardant and the high-quality materials will give you many years of trouble-free use with only basic maintenance and regular checks required. *Please note that the above price is for a standard model. Width (seat) 16", 18", 20"